What is constipation? What causes it? Constipation is a feeling of being unable to empty your bowels completely or regularly. A person is generally considered to have constipation if bowel movements are fewer than three times per week. Constipation is a common problem, and everyone experiences it occasionally. Symptoms of constipation include feeling unable to empty your bowels completely, stools appearing dry/hard/lumpy, stomach upset or cramps, bloating, and loss of appetite. There are numerous causes of constipation including diseases of the digestive system and side effects of medications, but for most people, a diet low in fiber may be the cause. 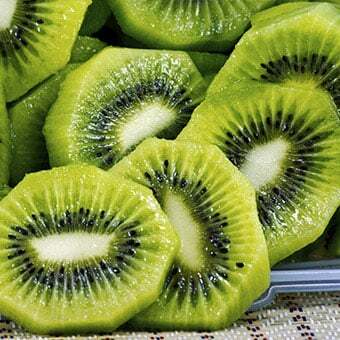 There are many foods a person can eat to help relieve constipation, for example, kiwi, popcorn, nuts, flaxseed, berries, dried fruit, and broccoli. To prevent constipation, avoid foods that can make it worse, for example, bananas, gluten, caffeine, alcohol, and chewing gum. Here is a list of 12 foods to eat to help relieve constipation. When planning a healthy diet, it helps to include plenty of high-fiber choices to help you stay regular and provide relief of constipation. 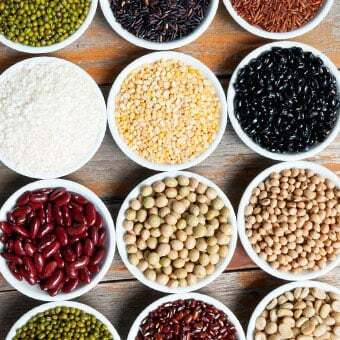 Beans have more than 10 grams of fiber per cup serving that's more than almost any other fiber source. Beans have a great mixture of soluble and insoluble fiber, both of which helps the food keep moving through the intestines to relieve constipation. Add any of these to salads, soups, casseroles, or pasta. 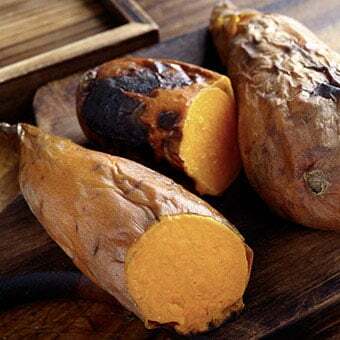 One medium baked sweet potato with skin has 3.8 grams of fiber, which can help get things moving along. This high fiber content in sweet potatoes helps prevent and relieve constipation. The skin contains most of the fiber so leave it on for the biggest benefits. Regular baked potatoes are also a good source of fiber, with 3 grams in a small baked potato. Leave the skin on, and high-calorie toppings such as butter or sour cream off. Air-popped popcorn is a good choice for a high-fiber snack that can help provide relief from constipation. A filling 3 cups of air-popped popcorn contains 3.5 g fiber, and less than 100 calories. 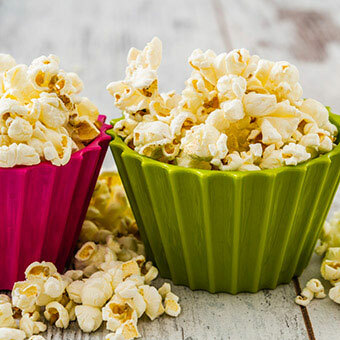 Stay away from movie theater popcorn or popcorn laden with butter as the high fat content not only contains lots of calories, the fat can cause constipation. Nuts are a filling food that is also packed with fiber to help ease constipation. Almonds, pecans, and walnuts have more fiber than other nuts. 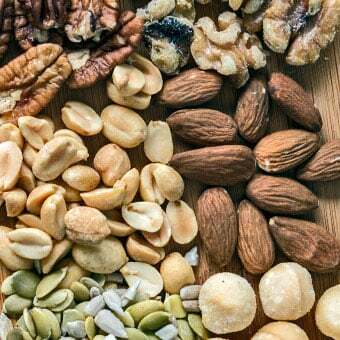 Just 1 ounce of almonds (about 23 nuts) contains 3.5 g fiber, 1 ounce of pecans (about 19 halves) contains 2.7 g fiber, and 1 ounce of walnuts (14 halves) has 1.9 g fiber. Seeds are another good fiber-filled choice for constipation relief. A scant 1 tablespoon of sesame seeds contains 1.1 g fiber, while 1 ounce of pumpkin seeds (about 85 seeds) has a whopping 5 g fiber. Sprinkle seeds on top of salads for added fiber and crunch. Remember that nuts and seeds are high in calories, so keep portions small. Choose nuts and seeds that are raw or dry roasted, rather than roasted in oil. 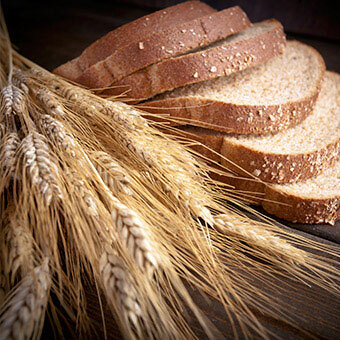 Whole grains have lots of fiber, which is a good choice not only for the bowels, but also the heart. Researchers at the University of Finland in Helsinki found whole grain rye bread to be better than wheat bread and laxatives for relieving constipation. They reported their findings in the Journal of Nutrition in 2010. Their subjects ate enough slices (12.3 grams each) to get 30 grams of fiber a day, but you don't have to eat that much for it to work. Arabinoxylan, the main component of dietary fiber in rye, helps keep food moving through the intestine. Ezekiel bread is another good choice for relief of constipation. It is bread made of sprouted whole grains and legumes, which provides a good dose of fiber and nutrients. With the skin, an average pear provides 5 to 6 grams of dietary fiber to regulate the digestive system. Pears also are great for babies with constipation. Look for baby foods with pears as an ingredient, and pear juice can also aid constipation in infants. 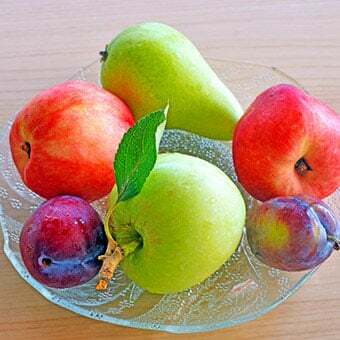 Fresh plums do not have much fiber, but dried plums – prunes – have as many as 12 g fiber per cup and are excellent for relieving constipation. One large apple has more than 5 g fiber. 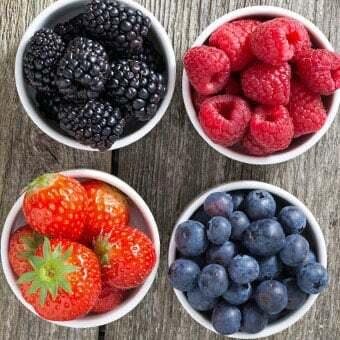 Berries are tasty and easy to eat so take your pick: raspberries, blackberries, blueberries, and strawberries - all are easy to snack on and full of fiber. For example just ½ cup of raspberries contains 4 g fiber to help relieve constipation. Eat them alone as a snack, try them on salads, or puree and freeze them for a cool summertime dessert. How Can Heartburn Harm Your Teeth? 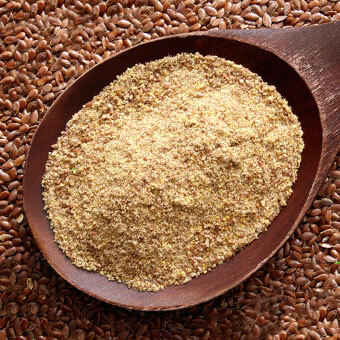 Flaxseed (or flax seed) can help with constipation and is a great source of fiber, antioxidants, and omega-3 fatty acids. Just one tablespoon of both brown and golden flax seed has 2.8 g fiber, both soluble and insoluble. Most of the fiber is found in the husk of the flax seed, and ground flax seed is generally recommended for easier absorption of the fiber. It's easy to add flax seed to smoothies, on top of salads, or in oatmeal. 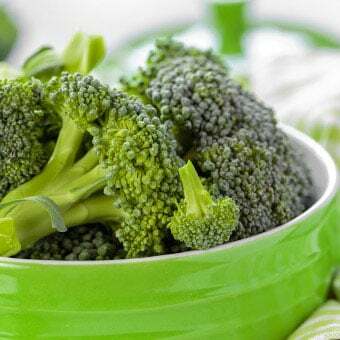 Just ½ cup of cooked broccoli contains 2.8 grams of fiber to aid with constipation relief, and it's also chock full of vitamin C.
Broccoli makes a great side dish, and it can be eaten raw as a snack with hummus or a low-fat dip. 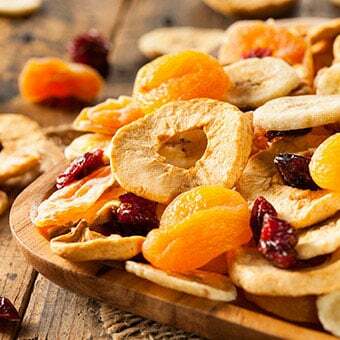 Dried fruit is a smart choice if you're feeling constipated, as it actually contains more fiber than fresh fruit per serving. An easy snack is raisins, with 7 g fiber per cup (compared to 1 g in 1 cup of grapes). Aside from prunes, dried fruits such as figs, raisins, and dried apricots are excellent sources of fiber. Add dried fruit to cereal, or bake it into bran muffins. Soak it in water to soften it if it's hard to chew. Just remember that while dried fruit has more fiber than fresh fruit, it also has more calories. Prunes were grandma's remedy. They could be yours, too. 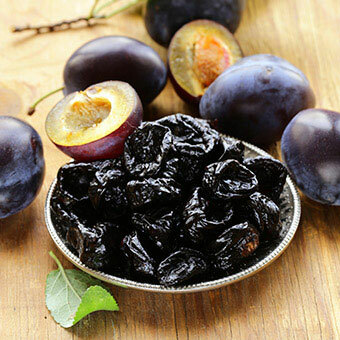 Prunes are high in insoluble fiber as well as the natural laxative sorbitol, which can help you "go." Researchers at the University of Iowa tested dried, pitted plums (prunes) against psyllium (a laxative) in 40 adults who were constipated. Those given the plums had measurably higher spontaneous bowel movements than those given the laxative. Prunes juice is also helpful at relieving constipation in babies. Holma, R. et al. Constipation Is Relieved More by Rye Bread Than Wheat Bread or Laxatives without Increased Adverse Gastrointestinal Effects. Journal of Nutrition. 20 January 2010. 109.118570v1. NHS. "Constipation - Symptoms." Updated: Dec 24, 2015. "Patient education: Constipation in Adults (The Basics). UpToDate. Updated: Dec, 07, 2017. Patient education: High-fiber diet (The Basics). UpToDate. Dec, 07, 2017. National Institute of Diabetes and Digestive and Kidney Diseases. Eating, Diet, and Nutrition for Constipation. Nov 13, 2014. USDA. Basic Report: 09003, Apples, raw, with skin. Updated: May 2016. USDA. Basic Report: 09291, Plums, dried (prunes), uncooked. Updated: May, 2016. What causes constipation, chronic constipation, and severe constipation? 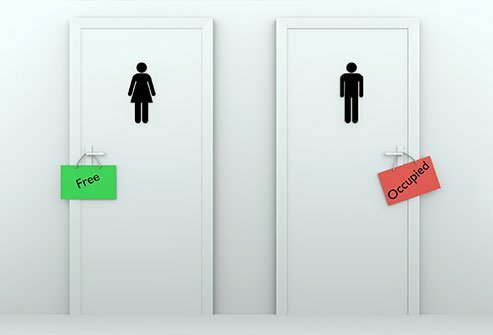 Take this quiz and learn how to relieve constipation. Learn natural remedies for constipation, how to get rid of constipation during pregnancy, and other facts. Please share what foods you have found helpful in preventing and treating constipation? Learn how to get rid of hemorrhoids, the difference between internal hemorrhoids and external hemorrhoids, what causes hemorrhoids, how long hemorrhoids last, and hemorrhoids treatment. Does everyone have hemorrhoids? Test your knowledge of this and many other facts about Hemorrhoids. Laxatives types for treatment of constipation include over-the-counter (OTC) preparations, for example, bulk-forming laxatives, stool softeners, lubricant laxatives, stimulant or saline laxatives, enemas, and suppositories. Some OTC laxatives are not recommended for people with specific diseases or conditions (for example, people with diabetes). Some laxatives may have negative side effects if taken over a long time. Laxatives are not recommended for weight loss.